Recep Erdogan addresses thousands of party members, trumpeting his country's credentials as a rising democratic power. Turkey's prime minister has said that the era of military coups in his country is over, a week after a court sentenced more than 300 military officers for attempting to overthrow the government. Read more. Turkey and Egypt sought to boost their alliance in a turbulent region on Sunday, unleashing harsh criticism of the Syrian regime and pledging joint support for the Palestinian cause. Read more. A group of Palestinian, Israeli and international activists gathered to demonstrate peacefully in front of the Israeli settlement colony called 'Karmei Tsur' on Saturday, September 29. When they entered the field in front of the settlement a large group of Israeli soldiers were blocking the roads and the agricultural fields,.. Read more. Chanting "resistance", demonstrators took to the streets of Paris on Sunday to protest against austerity policies and Europe’s new budget treaty, in the first major demonstration since President François Hollande took power four months ago. Tens of thousands of people marched through the sunny streets of Paris on Sunday to protest against an EU fiscal treaty requiring governments to commit to stricter economic practices, in the latest in a string of anti-austerity rallies across Europe. Read more. 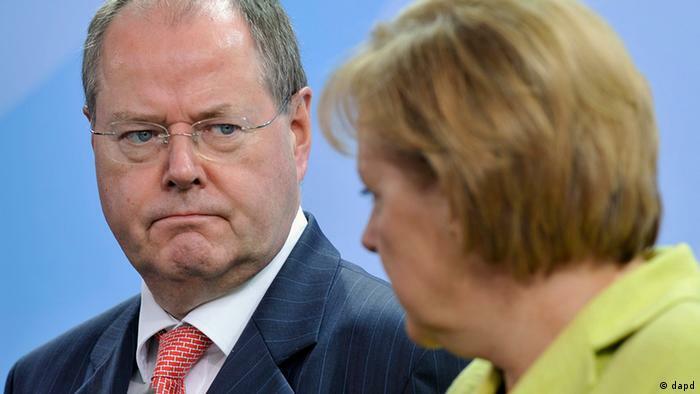 Chancellor Angela Merkel's election rival, Peer Steinbrück, has attacked the government's handling of the eurozone debt crisis. Steinbrück said Germany needed to give Greece more time to implement economic reforms. 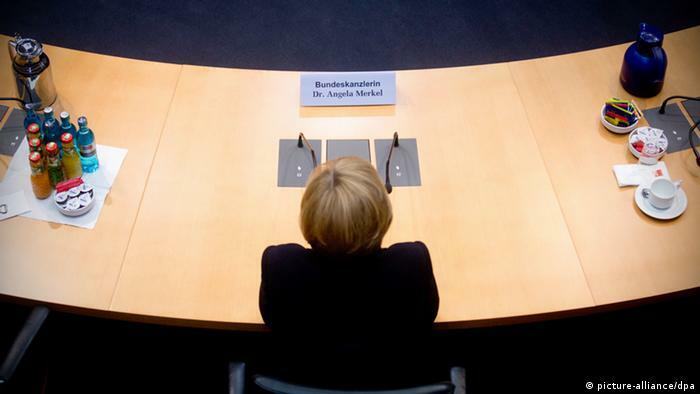 Steinbrück told German Sunday newspaper Welt am Sonntag that Merkel must be prepared to come clean over the need for Germany to remain committed to supporting crisis-stricken Greece. Read more. Protests against biting spending cuts continue throughout Europe, as people vent their anger over bailout sponsored austerity. Mass demonstrations in Madrid turned to violence earlier this week, as police were forced to fire rubber bullets to calm the fury of the public. There've been dozens of injuries and arrests. RT's Jacob Greaves has been following developments. Israeli Prime Minister Benjamin Netanyahu has thanked his Canadian counterpart Stephen Harper for closing Ottawa’s embassy in Tehran. Netanyahu praised the Canadian government’s decision to sever ties with Iran during his meeting with Harper on the side lines of the United Nations General Assembly in New York on Friday. Read more. John Baird and his British analogue, William Hague, should be congratulated on their innovative arrangement to share embassy facilities. Some opposition members of Parliament’s first utterances about the plan evinced their fear that Canada would be assumed to be retreating back into colonial subservience to Great Britain — but that’s just evidence of their congenital sense of inferiority. Read more. The face of the Quebec student protests, Gabriel Nadeau-Dubois, has embarked on a Canada-wide tour to inspire Canadians to fight against austerity measures as well as Prime Minister Stephen Harper. The seven-day speaking tour began Saturday in London, Ont., and ends Oct. 5 in Vancouver. Read more. The Amber Lyon story is just the latest in a series of articles that expose the total Joseph Goebbels like censorship rampant in mainstream media today. The first one I posted several weeks ago exposed how the NY Times basically just regurgitates whatever government officials tell them, while the other showcased how an NPR reporter covering D.C. had to leave and do her own thing out of frustration. This is precisely why alternative media sites are taking off. They provide the only outlets left for genuine journalism. Lisa Nandy calls for the government to take action over G4S' participation in illegal imprisonment. Since 1967, more than 730,000 Palestinian men, women and children are estimated to have been imprisoned by Israeli military courts. Read more. The prime minister of Curacao says the attempt by the island’s governor to kick him out of office 21 days before new elections is “unconstitutional” and a coup. "There is no democratic answer," Gerrit Schotte told The Miami Herald by telephone at 11 p.m. Saturday from within the walls of his office compound on the Dutch-speaking Caribbean island. Read more. Saudi forces have opened fire on a group of pro-democracy demonstrators in the country's Eastern Province as protests against the Al Saud regime intensify in the oil-rich Persian Gulf kingdom, Press TV reports. Witnesses say regime forces attacked demonstrators in the eastern city of Qatif,.. Read more. ­The Georgian capital was strewn with blue colors Saturday as the South Caucasian country's parliamentary campaign comes to a climax. Read more + video. (Reuters) - Tens of thousands of protesters marched through the Polish capital on Saturday, the start of an opposition drive to capitalize on the spluttering economy and try to loosen Prime Minister Donald Tusk's grip on power. Poland's economy, the biggest in central Europe, has grown robustly even while its neighbors slipped into recession, handing Tusk high levels of support and leaving his opponents struggling to win credibility with voters. Read more. Bahrain's Saudi-backed security forces have opened fire on anti-regime protesters, using shotguns and stun grenades to disperse demonstrators. On Saturday, several people were injured after police fired tear gas and rubber bullets at mourners, who gathered in Sadad village to bury 17-year-old Ali Hossein Ne’ema. Read more. Germany’s largest opposition party, the Social Democratic Party (SPD) has urged the government to cancel the planned sale of advance weaponry to Saudi Arabia, because of human rights violations in the kingdom. SPD foreign policy spokesman, Rolf Muetzenich warned against the planned sale of hundreds German-made combat tanks to Saudi Arabia,.. Read more. MADRID (AP) — Tens of thousands of Spaniards and Portuguese rallied in the streets of their countries' capitals Saturday to protest enduring deep economic pain from austerity cuts. In Madrid, demonstrators approached parliament for the third time this week to vent their anger against tax hikes, government spending cuts and the highest unemployment rate among the 17 nations that use the euro currency. Read more. Thousands of protesters gathered in German cities to demonstrate in favour of a tax on wealth and financial transactions. The demonstrations are part of a nationwide movement against wealth inequality. 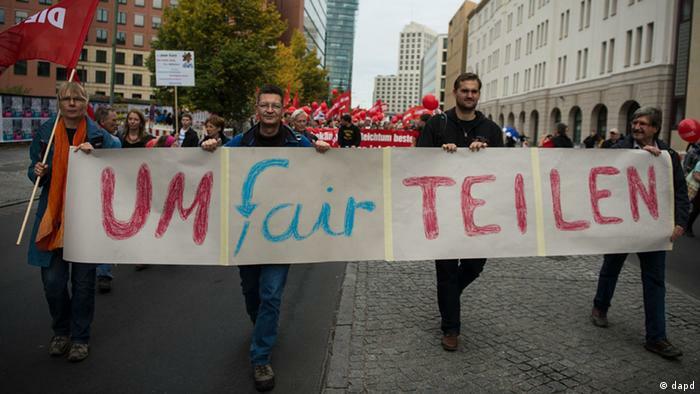 Approximately 40,000 people hit the streets in 40 cities nationwide on Saturday to call for a more equal society under the motto "Umfairteilen" - a German pun on the words "unfair" and "to redistribute." Read more. After a French study suggested that rats fed on Monsanto GMO corn suffered tumors, Russian researches plan their own, this time public, experiment. The unique reality show with rats is expected to prove or deny GMO’s health-threatening influence. ­Read more. WASHINGTON: A planned meeting between US and Pakistani military chiefs was postponed this week due to a wave of violent anti-American protests, the top-ranking US officer, General Martin Dempsey, said on Thursday. Dempsey revealed at a news conference that he had scheduled a discreet trip to Pakistan to meet chief of the army staff, General Ashfaq Kayani, but the two agreed to call off the talks amid unrest on the streets of Pakistani cities. Read more. WASHINGTON — Bank of America says it has agreed to pay $2.43 billion to settle a class-action lawsuit related to its acquisition of Merrill Lynch at the height of the financial crisis. In the lawsuit, shareholders alleged that Bank of America and some of its officers made false or misleading statements about both companies’ financial health. Read more. (Reuters) - The head of NATO expressed concern on Thursday about armed groups operating outside government control in Libya and said he was encouraging Tripoli to accept an offer of help to reform its security sector. NATO Secretary-General Anders Fogh Rasmussen made the offer to Libyan leader Mohammed Magarief after this month's attack on the U.S. consulate in the eastern Libyan city of Benghazi, which killed the U.S. ambassador and three other Americans. Read more. Different members of the Syrian opposition, who spoke on condition of anonymity, have claimed leaders of the rebel Free Syrian Army (FSA) have not returned to Syria as was claimed by the FSA leadership, but travel back and forth to Syria from Turkey. Read more. (Reuters) - An ancient papyrus fragment which a Harvard scholar says contains the first recorded mention that Jesus may have had a wife is a fake, the Vatican said on Friday. "Substantial reasons would lead one to conclude that the papyrus is indeed a clumsy forgery," the Vatican's newspaper, L'Osservatore Romano, said in an editorial by its editor, Gian Maria Vian. "In any case, it's a fake." Read more. The independent audit carried out by consultant Oliver Wyman estimates the Spanish banking sector needs additional capital of 53.745 billion euros to shore up balance sheets because of its exposure to the ailing real estate sector if the consolidation currently taking place among lenders is taken into account, the Bank of Spain said Friday. The central bank says that without taking into account merger and acquisition processes that are under way and deferred taxes,.. Read more. Increasing inflation remains a headache for most governments across the eurozone. Figures for September have gone up again mainly due to a marked increase in energy prices, putting more pressure on the ECB. Inflation in the 17-member eurozone went up again in September, the European Union's statistics office, Eurostat, announced on Friday. Read more. A parliamentary investigative committee has questioned German Chancellor Angela Merkel about her role in planning the Gorleben storage facility for nuclear waste. German Chancellor Angela Merkel was taken to task by a parliamentary investigative committee on Thursday. She was asked to define her role in the selection of a long-term nuclear waste dump site in the German town of Gorleben. Read more. White House did not say whether Obama gave any ground on giving a 'red line' to Iran during his phone call with Netanyahu, one day after his UN speech; Romney also calls the PM. President Barack Obama and Prime Minister Benjamin Netanyahu on Friday expressed solidarity on the goal of preventing Iran from acquiring a nuclear weapon, the White House said, amid signs of easing tensions over their differences on how to confront Tehran. Read more. Vice PM Ya'alon says Palestinian president has "never prepared his people for peace"; Dani Dayan decries "hatred" in speech. Vice Premier Moshe Ya'alon on Friday came out with harsh criticism of Palestinian Authority President Mahmoud Abbas's speech at the UN, describing it as proof that Abbas has no intention of making peace with Israel. Read more. In its Weekly Report On Israeli Human Rights Violations in the Occupied Palestinian Territories for the week of 13- 19 Sep. 2012, the Palestinian Center for Human Rights found that the Israeli military extra-judicially executed two members of the Palestinian resistance and wounded a third one in the southern Gaza Strip town of Rafah. In addition, Israeli forces used force to disperse peaceful protest organized by Palestinian civilians in the West Bank. Read more. Abby Martin talks about the American corporate media's unfair coverage of domestic issues pointing out the comparison between protests in Spain and Greece alongside the Occupy Wall Street demonstrations in the US. De Portugese universiteitsstad Coimbra herdenkt van 27 tot 29 september zanger José Afonso, beter bekend als Zeca, met een heus festival. Afonso werd vooral bekend als zanger van de Anjerrevolutie. Die maakte in april 1974 een einde aan de gehate dictatuur van Salazar en zijn opvolger Caetano. Ook vandaag nog, 25 jaar na zijn dood, zijn Zeca's liederen een inspiratiebron voor kunstenaars en voor de groeiende verzetsbeweging tegen het bezuinigingsbeleid. Lees meer. Spanish public transport workers went on strike on Friday to voice their anger at plans to slash wages and reduce services. They argue next year’s restructuring will eventually lead to job losses. Read more + video. Hundreds of Italians gathered for a general strike staged by two of the nation’s largest labor unions, protesting recent harsh austerity measures. The walkout came days after thousands hit the streets of Athens and Madrid for similar protests. ­Read more. PARAMARIBO - President Desi Bouterse ziet het als zijn plicht om de soevereiniteit van Suriname te beschermen tegen aanvallen vanuit het buitenland. Dat zei hij tijdens zijn jaarrede die hij donderdag uitsprak bij de opening van het nieuwe parlementaire jaar in Suriname. Lees meer. Art experts could soon be replaced by computers as scientists of Lawrence Technological University in Detroit have developed software that can identify, evaluate and attribute works of art. Computer scientists Lior Shamir and Jane Tarakhovsky created the software that focuses on 4,000 numerical image descriptors and analyzes form, texture, and visual content of the paintings without any human guidance. Read more. Under the new proposal the government sent to public sector unions, all net salaries over €1,500 a month are to be reduced, as are bonuses and subsidies, while no public sector employee is to get a pay rise thanks to promotion or appointment to a position. Portugal’s government has sent public sector unions a proposal for the annual pay round that foresees further cuts in the total wage bill of 2.5% to 10% next year, and a ban on any kind of pay rise. Read more. The number of unemployed people in mainland France surpassed three million for the first time since 1999, new labour ministry data showed Wednesday, as French President François Hollande prepares to unveil his 2013 budget this week. French unemployment topped three million for the first time in over a decade,.. Read more + video. The three coalition party leaders have reached "basic agreement" on the new austerity package, which will be presented to the troika for approval on Monday, the finance minister has said. Yannis Stournaras was speaking to reporters at 1.20pm as he left the Maximos Mansion, the prime minister's official office, after a meeting with coalition leaders. Read more. The German president has signed legislation approving the country's participation in the eurozone's permanent financial bailout fund. He had delayed signing the bill due to legal challenges to the legislation. 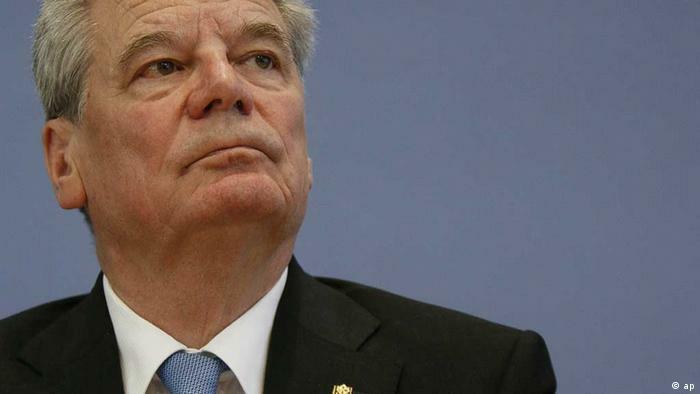 President Joachim Gauck signed into law the German parliament's ratification of the European Stability Mechanism on Thursday. Read more. (Reuters) - The outlook for Europe's economy darkened on Thursday with euro zone business confidence falling to a three-year low and a range of economic indicators across the continent pointing towards recession. Shrinking lending and rising unemployment in Germany, until now a mainstay for growth in the euro zone, added to the gloom, with economists saying there was now no hope of growth for the region in the third quarter of the year. Read more. The economy in the U.S. grew less than previously forecast in the second quarter, reflecting slower gains in consumer spending and farm inventories. The world’s largest economy expanded at a 1.3 percent pace from April through June after growing at a 2 percent rate in the first quarter. Read more. How did the Quebect student movement win? For over 4 months, students and their allies, took over the streets of Montreal every day, to protest a tuition hike imposed by the liberal party in Quebec. On September 21st, the newly elected Premier of Quebec scrapped the tuition hike and repealed a controversial law, that effectively banned public demonstrations. Read more. Santiago de Chile, Sep 27 (Prensa Latina) Thousands of students and representatives of other sectors marched through capital streets to demand Chilean education to be saved, in a protest that was dispersed by police with cannons -water and tear gas at various. The repression was unleashed when youths removed the barriers placed by the authorities to prevent their passage through a part of the Alameda Avenue, which was not included in the route of the demonstration. Read more. Asuncion, Sep 27 (Prensa Latina) Thousands of Paraguayan teachers began this Thursday an indefinitely general strike across the country to demand better wages due to the failure of negotiations with the government. The strike is complied, according to spokesmen from Labor Union Leadership, by 14 of the 15 unions of educators with the participation of more than 55,000 teachers and workers, with activities on the street and the obstruction of routes. Read more. A leading British charity warns that 3.5 million children in the United Kingdom are growing up below the poverty line, while the divide between rich and poor continues to accelerate faster than anywhere else in the developed world. (Reuters) - Spain announced a detailed timetable for economic reforms and a tough 2013 budget based mostly on spending cuts on Thursday in what many see as an effort to pre-empt the likely conditions of an international bailout. Government ministries saw their budgets slashed by 8.9 percent for next year, as Prime Minister Mariano Rajoy's battle to reduce one of the euro zone's biggest deficits was made harder by weak tax revenues in a prolonged recession. Read more. NEW YORK – Russian Foreign Minister Sergei Lavrov on Wednesday stressed that the countries which instigate the opposition to reject dialogue and ceasefire shoulders a considerable part of the responsibility for the continuing violence in Syria, adding this is not just unrealistic, but also overlooks the terrorist methods the armed opposition employs repeatedly. During a Security Council session to discuss the situation in the Middle East,.. Read more. BETHLEHEM (Ma'an) -- President Mahmoud Abbas will address the UN General Assembly on Thursday in a speech detailing recent efforts to upgrade Palestine's status in the world body. PLO negotiator Saeb Erekat, who was accompanying Abbas in New York, said the president would ask the UN to include Palestine as a non-member state. Read more. Prime minister touches down in New York ahead of planned UNGA address; Lieberman: Israel must present its position clearly, even if U.S. disagrees. Prime Minister Benjamin Netanyahu's plane landed in New York on Thursday, ahead of his planned address before the United Nations General Assembly later in the day. Read more. We are on a road that leads straight to the World War 3, but in order to see that and to fully understand what is at stake you have to look at the big picture and connect the dots. This video examines the history of the dollar, its relation to oil, and the real motives behind the wars of the past two decades. Evo Morales criticizes Obama's "double moral standard"
Bolivian President Evo Morales called as "contradictory" the statements of President Barack Obama before the UN General assembly. President Obama "speaks about peace and human rights, he has no moral right to speak about peace and human rights," Morales said. ScienceDaily (Sep. 26, 2012) — The number of people suffering from type 2 diabetes world-wide has risen rapidly in recent years, and scientists estimate that just as many people could be suffering from the illness without realising it. New research now indicates that your gut bacteria can reveal whether you suffer from the disease. Read more. (Reuters) - Installed EU wind capacity has reached the 100 gigawatt mark - the equivalent of power generated from 39 nuclear plants or a train of coal stretching from Buenos Aires to Brussels - but financial risk threatens growth, industry body EWEA said. "We have just in the past couple of weeks passed 100 gigawatts of total installed capacity in Europe," Christian Kjaer, CEO of the European Wind Energy Association, told a small group of reporters. Read more. In this episode ; S17 Occupy Chicago's solidarity action for OWS NYC, S23 Occupy Chicago's first anniversary. S17 Occupy Portland's solidarity action for OWS NYC and new anti-GM march in solidarity with the GM Colombia workers who are still on hunger strikes. And also DC S22 Occupy DC counterprotest at white supremacist (KKK) rally. Iranian President Mahmoud Ahmadinejad is set to meet with members of the Occupy Wall Street (OWS) movement during his current New York City visit for the UN General Assembly gathering. The president also plans to meet American university students, artists, intellectuals and elites. Read more. Following a violent police crackdown on Tuesday, thousands of Spaniards returned to Madrid’s Plaza de Neptune to continue protests against a new round of highly contentious austerity measures. For the second day running, thousands of demonstrators led by the so-called ‘indignados,’ or outraged, descended on the square – some 100 meters from Spain’s parliament building. Read more + photos. WikiLeaks founder Julian Assange has called on the United States to move from words to actions, and put an end to its persecution of WikiLeaks, its people and its sources. He made the statement during an address to a panel of UN delegates. Addressing the representatives of the United Nations' member countries, the WikiLeaks founder spoke of the difference between words and actions, praising US President Barack Obama for his words. Read more. Undersecretary of Iran's Supreme National Security Council (SNSC) Ali Baqeri has called on the six major world powers (the P5+1) to respond to proposals put forth by Tehran during the Moscow negotiations. Secretary of SNSC Saeed Jalili and EU foreign policy chief, Catherine Ashton, who represents the P5+1 - comprising Britain, China, France, Russia, the US and Germany - met in Moscow in June. Read more. China and the DPRK want to attract more companies to two special economic zones in the DPRK. Leaders from the two countries held a joint meeting in Beijing on Wednesday to address the issue. As Chang Dili reports, the word is the development plan has entered into what’s beind described as "substantial" phase. Read more. Argentina's President Cristina Fernandez hit back at the IMF on Tuesday for warning her country about bad stats data, saying her nation is sovereign and would not be subjected to threats of any kind. IMF Managing Director Christine Lagarde warned Monday that Argentina faces a “red card” if it does not produce acceptable data on growth and inflation by December. Read more. President Cristina Fernández once again claimed Argentina’s sovereignty over the Falklands/Malvinas islands and urged the United Kingdom to accept talks and abide by the United Nations resolutions on the matter which has become a “global issue”. The Argentine leader also asked for the demilitarization of the South Atlantic. Read more. Iran President Mahmoud Ahmadinejad has slammed the current global politics as discriminatory, based on inequality, and characterized by unilateralism and double-standards. “Unilateralism, application of double-standards, and imposition of wars, instability and occupation to ensure economic interests and expand dominance over sensitive centers of the world have turned to be the order of the day,” Ahmadinejad said during his speech at the 67th session of the United Nations General Assembly in New York on Wednesday. Read more. De rechtbank in Middelburg ziet geen reden om huisarts Hans van der Linde op de vingers te tikken over zijn uitlating dat het RIVM en RIVM-topman Roel Coutinho zich schuldig maken aan belangenverstrengeling. De rechtbank in Middelburg deed woensdag uitspraak. Lees meer. Gisteren was het een bijzondere dag: de Nederlandse MSM bracht eindelijk weer eens iets wat op een nieuwswaardig feit leek. Het enige jammere hieraan was dat de nieuwswaarde hiervan al net zo verdampt was als alle hoop op vrede in Palestina. Het ging over de crisis in Griekenland en het feit dat in de draconische bezuinigingen die door De Trojka (de Europese Unie, de Europese Centrale bank en het IMF) opgelegd waren, de astronomische defensie-uitgaven van dat land niet meegenomen waren. Lees meer. Zover ik me kan herinneren ben ik nooit bang geweest voor de overheid. Lees meer. Police fired rubber bullets and beat people with nightsticks on Tuesday night as an organized demonstration outside the gates of Congress turned violent, with clashes between protestors and riot police spilling out onto the nearby Neptune Square. At least 64 people were injured in the skirmishes, including 27 officers, Samur emergency medical services reported. Read more. Spain’s risk premium headed north again on Wednesday, a development Prime Minister Mariano Rajoy acknowledged could led him to ask for a second bailout from the Europe if the situation persists. Asked in an interview in New York with The Wall Street Journal published on Wednesday if he planned to ask one of the two European rescue funds for help, Rajoy said his government would need to ascertain first if the conditions attached to a bailout are “reasonable.” Read more. The premier of Catalonia, Artur Mas, announced on Tuesday that early elections will be held in the region on November 25, as a response to the “exceptional” rejection by Spain’s government of a suggested fiscal pact that would allow the region more control over tax collections. Mas made the announcement to the consellers, the ministers of the Catalan regional government, to whom he suggested that early elections should be held on November 25 or December 2. Read more. Portuguese Prime Minister Pedro Passos Coelho has said the government was preparing a tax rise, including personal income tax, to compensate a partial devolution of Christmas and holiday bonuses that were taken away from the state-sector workers and pensioners. Speaking to reporters after a meeting with management representatives and union leaders, the prime minister said “Personal income tax would be used to make up most of the difference” but added that 2capital and property taxes" would also help. Read more. Iran's Press TV Channel says its correspondent Maya Nasser has been shot dead by a sniper while reporting on air about today's twin blasts in Damascus. Patrick Henningsen - geopolitical analyst for the current affairs website "UK Column" - believes the Iranian journalist's death was unlikely to be an accident. Insurgents in the Syrian capital Damascus have attacked Press TV staff, killing the Iranian English-language news network’s correspondent Maya Naser, and injuring its Damascus Bureau Chief Hosein Mortada. 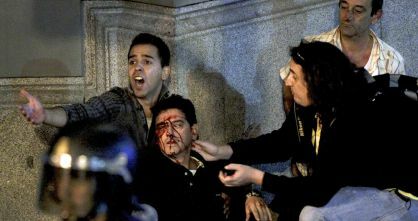 Naser came under attack while reporting on air just hours ago. Read more + video. Russian authorities temporary suspended the import and sale of Monsanto’s genetically-modified corn after a French study suggested it may be linked to cancer. The Russia’s consumer-rights regulator Rospotrebnadzor asked scientists at the country’s Institute of Nutrition to review the study. Read more. A rally in the Greek capital turned violent when protesters in Syntagma Square lobbed Molotov cocktails at police, who retaliated by firing tear gas at the demonstrators. Security forces also reportedly used flashbang grenades and pepper spray to push protesters back from the parliament building. Read more. Hundreds of teachers are protesting in Los Angeles against what they say is the latest attack on education in California. California once lead the nation in education, but now ranks near the bottom when it comes to per-student spending. Read more. AFP - Palestinian president Mahmud Abbas is ready to resume peace talks with Israel if the Jewish state agrees to freeze settlements, Palestinian negotiator Saeb Erakat said on Tuesday. During a meeting in New York with representatives of the Jewish-American community, Abbas said he is "ready to resume negotiations if settlement construction is stopped during these negotiations," Erakat told AFP. Read more. GAZA CITY (Ma'an) -- Qatar is planning to provide half a billion dollars in assistance to the Gaza Strip over the coming three years to rebuild infrastructure destroyed in Israeli attacks. In a visit to the enclave Tuesday, Qatari ambassador Muhammad al-Imadi said the Gulf country's emir created a special committee to distribute some $450 million for infrastructure, development and education projects. Read more. Qatar called on Arab countries to intervene militarily in Syria because the UN Security Council is incapable of formulating a common position on the settlement of the Syrian crisis. "The Security Council has no defined and effective position and thus Arab countries must act alone on the basis of their national humanitarian, political and military commitments," said Tuesday the Qatari Emir Hamad Bin Khalifa Al-Thani during his speech before the 67th General Assembly of the United Nations. Read more. ScienceDaily (Sep. 25, 2012) — Researchers at University of California, San Diego Moores Cancer Center are evaluating the safety and tolerability of a synthetic cannabinoid called dexanabinol (ETS2101). Delivered as a weekly intravenous infusion, the drug is being tested in patients with all forms of brain cancer, both primary and metastatic. Read more. Researchers from Kyoto University and Hitachi Ltd. announced Sept. 24 they have developed technology using quartz glass that is capable of storing data for more than 300 million years. The medium, which is also highly resistant to heat and water, could be used to store images of cultural treasures and official documents of high historical value for long periods, the scientists said. Read more. Asuncion, Sep 25 (Prensa Latina) Organized by the Paraguay Peace and Justice Service, an Anti-Militarist Week has started in this capital, calling for disobedience against authoritarianism and the coupsters who dismissed President Fernando Lugo. The organizers, also supported by other groups, will hold a panel-discussion today about the danger of societal militarization, the presence of multinationals in the country, and the sale by the government of natural resources, according to the agenda released. Read more. Santiago de Chile, Sep 25 (Prensa Latina) Chilean students will hit the streets on Thursday to demand again a public, free and high-quality education system, at all levels of education, announced today leaders of various organizations. At a press conference, representatives of the Chilean Students Confederation (CONFECH), the Coordinator of Secondary Students (CONES) and the Coordinating Assembly of Secondary Students also made a call for citizens to to join the protest. Read more. The students of 21 high schools in the city of Buenos Aires are continuing with the take over their establishments in protest at education reform proposed by the city government. The student movement behind the protest, Corriente Estudantil de Base (CEB), is also organising a march for Thursday. The protests started last week in technical high schools around the city in response to proposed changes to the curriculum. On Monday 17thSeptember the city minister of education, Esteban Bullrich, hosted a meeting where he presented measures that would bring about significant content changes in technical schools. Read more. IMF Managing Director Christine Lagarde warned Argentina on Monday that the multilateral lender is willing to show it a red card if by December the government of Cristina Fernández does not meet its promises of providing reliable inflation and GDP statistics, during a conference at the Peterson Institute in Washington DC. A week after the IMF gave Argentina a last dead line (December 17) to change the way inflation rate and GDP is calculated and adapt it to international standards, Lagarde came on stage to say “This is the last yellow card we show them, next time we'll get them a serious sanction.” Read more. The Brazilian President Dilma Rousseff has called for the economic embargo against Cuba to be lifted. The Syrian conflict is among the most important issues to be discussed during the new period of debates at the General Assembly of the United Nations to begin on Tuesday. The international mediator, Lakhdar Brahimi, still don't have a plan to solve the crisis in this country. “Effective steps must be taken toward reforming the structure of the UN in order to establish a democratic and fair framework in this organization,” Ahmadinejad said in a meeting with UN Secretary General Ban Ki-moon on the sidelines of the 67th session of the United Nations General Assembly in New York. Read more. It is refreshing to hear President Ahmadinejad of Iran pointing out the weaknesses of the United Nations. Amongst the UN’s pontificators, poseurs and hypocritical thugs, he stands out as a voice of reason, straightforwardness and honesty. For decades ordinary people have placed their hopes for peace and justice in the United Nations. And for just as many decades, they have been cruelly disappointed. Read more.